When the sun went down Friday evening, Rabbi Avremi Zippel — like many Jews — unplugged for the Sabbath until nightfall Saturday. No TV. No internet. No news. The next morning, Zippel went to his Salt Lake City synagogue as normal. About 10 a.m., he was talking with someone in the lobby, and a man approached him, apologizing for breaking the sanctity of the Shabbat. But, he said, something had happened, and he thought his rabbi should know: There had been a shooting at a synagogue in Pittsburgh. “My heart stopped in an instant,” Zippel said. 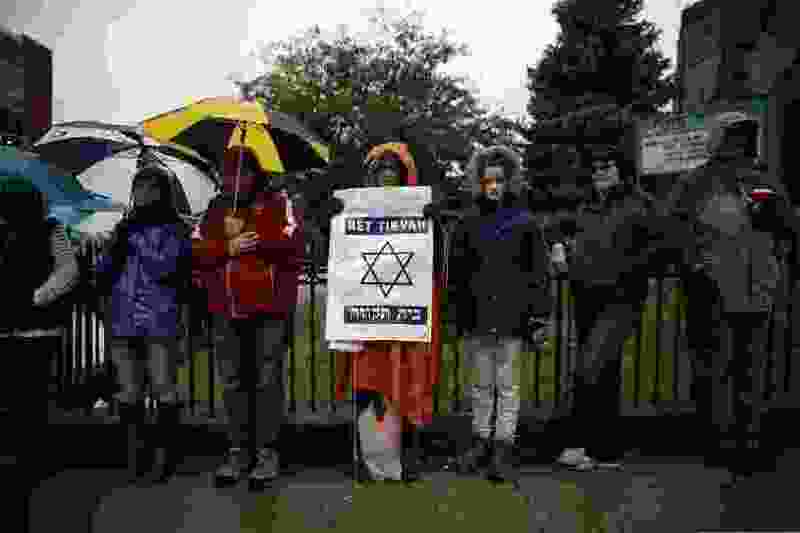 By Saturday night, police said 11 people were killed in the shooting at Tree of Life Synagogue during a baby-naming ceremony. At least six others were injured, including four police officers. The alleged assailant, Robert Bowers, reportedly made anti-Semitic remarks during the shooting. Police are investigating the attack as a hate crime. Bowers was taken into custody and charged. Should he lock the synagogue doors? Should he call police for extra security, just in case? In the mental whirlwind, Zippel said he decided the best way to serve and protect his congregation was to not succumb to the fear, but instead to do everything he could to make his flock feel loved, safe and welcome in the synagogue, both logistically and spiritually. That meant no police presence. And a whole lot of prayer. In the short term, Zippel planned a Pray for Pittsburgh vigil for 6:30 p.m. Monday at his synagogue at 1760 S 1100 East. Long term, he said, he hopes his congregation can benefit from federal grants meant to help nonprofits, like places of worship, install security systems. Aside from that, Zippel said he just has to be there for his congregation. 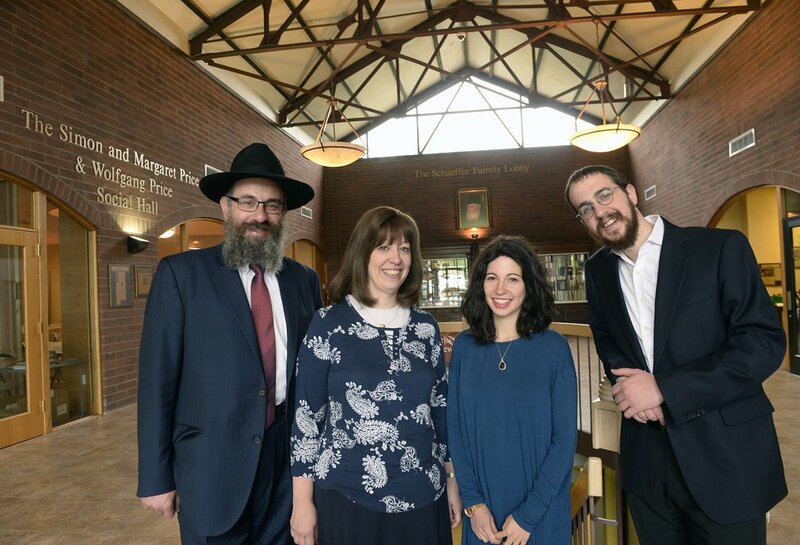 (Al Hartmann | The Salt Lake Tribune) Rabbi Benny Zippel, left, wife Sharonne Zippel, Sheina Zippel and her husband, Rabbi Avremi Zippel, at the Chabad office in Salt Lake City Friday May 11, 2018. Chabad Lubavitch synagogue is celebrating its 25th anniversary in Utah. The United Jewish Federation of Utah released a statement Saturday saying it was “horrified and saddened” by the shooting. The group offered prayers for victims, their families and the entire Pittsburgh Jewish community. Utah Sen. Orrin Hatch, a Pittsburgh native, also prayed for his hometown on Saturday. He released a statement saying the mass shooting of Jews, on the Jewish holy day, in a Jewish place of worship is a reminder of evil in the world — and why we need to fight it with courage and love. Hatch was born in Homestead Park, a borough of Pittsburgh, in 1934, according to his congressional biography. Mormon Women for Ethical Government also spoke out against the mass shooting, as well as an attack earlier in the week in Kentucky, where police are investigating a possible hate crime after Gregory Bush, a white man, allegedly killed two black people at a grocery store after trying and failing to enter a predominantly black church nearby. “We express our deepest sorrow, anguish, and righteous indignation on behalf of those whose lives have been lost or threatened, as well as their families and loved ones. In civil society, there is absolutely no place for racial, religious, nationalist, political, or any other form of identity-based hatred or violence,” according to the statement released Saturday.